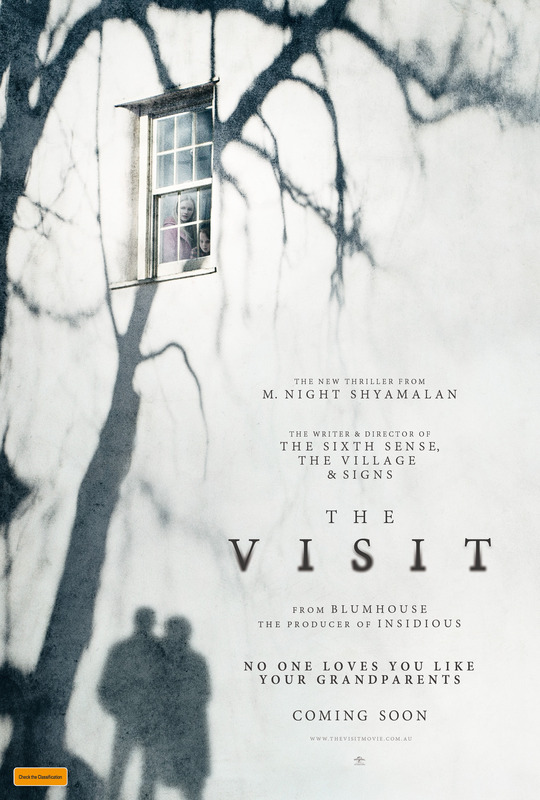 Infamous writer, director and producer M. Night Shyamalan (The Sixth Sense, Signs, Unbreakable) and producer Jason Blum (Paranormal Activity, The Purge and Insidious series) have teamed up to present Universal Pictures’ The Visit. Starring Australian actors Ed Oxenbould (Paper Planes), Olivia DeJonge (Hiding), alongside Kathryn Hahn, Deanna Dunagan and Peter McRobbie, Shyamalan returns to his roots with the terrifying story of a brother and sister who are sent to their grandparents’ remote Pennsylvania farm for a weeklong trip. Once the children discover that the elderly couple is involved in something deeply disturbing, they see their chances of getting back home are growing smaller every day. The Upside News are giving away tickets to see the film. All you have to do is head to our Facebook page to answer a simple question. You MUST be over 18 and in Adelaide to enter this competition. Posted in Adelaide, Competitions, Film, What's on in Adelaide and tagged Adelaide, competition, Ed Oxenbould, M. Night Shyamalan, The Visit, What's on in Adelaide, win. Bookmark the permalink.